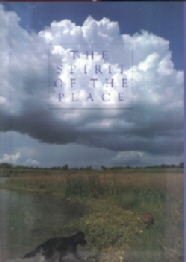 In this extraordinary body of work, James Alexander Thom does more than bring the past to life; he males us experience history as if we were witnessing it for the first time. 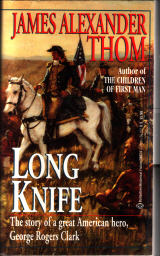 Thom's new novel is an enthralling adventure with fascinating real-life characters --and a heart-grabbing narrative that casts a vivid light on a momentous chapter in American history. 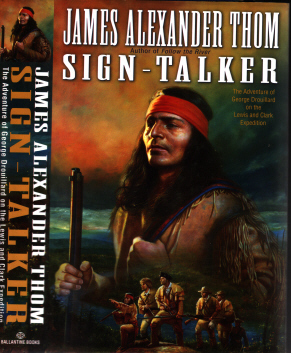 Sign-Talker begins just after the Louisiana Purchase. 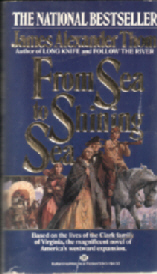 Thomas Jefferson has sent Meriwether Lewis and William Clark to penetrate the newly acquired territory, journey up the Missouri River, cross the Rocky Mountains, and reach the glimmering sea in the far West. To survive, the two captains need an extraordinary hunter who will be able to provide the expedition with fresh game, and sign-talker to communicate with the native tribes. They choose George Drouillard. It is Drouillard, an actual historical figure, who becomes our eyes and ears on this unforgettable odyssey. 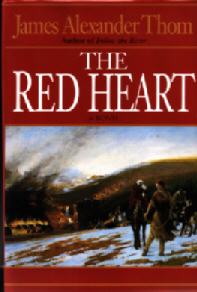 Drouillard, a metis raised among the Shawnee, cannot fathom what drives the two men. Nor can he help but admire their ingenuity and courage as they tackle the journey into the unknown. 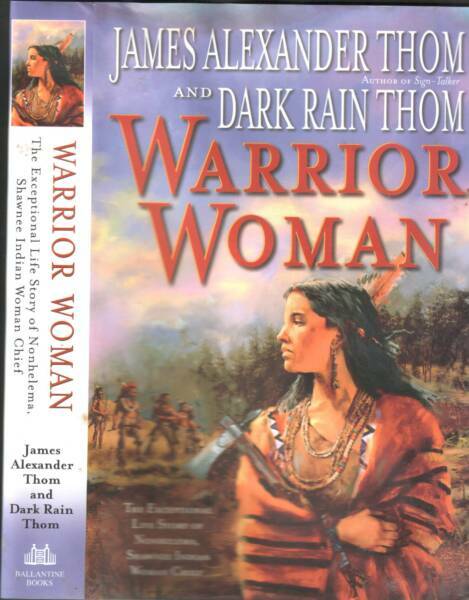 Along the way, he watches as they shrewdly shape and discipline their force, adding French-Canadian rivermen - to guide the expedition up the Missouri - and as Indian woman, Sacagawea, who will play a crucial role in negotiations with the Western tribes. After plunging into an unforgiving land and near madness, the two captains celebrate a triumphant achievement. But the glory will soon be eclipsed by an overwhelming tragedy that will touch not only Meriwether Lewis and the frontier tribes but George Drouillard himself. A magnificent tale told with intelligence and insight. 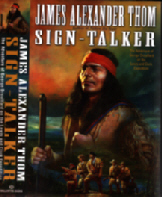 Sign Talker is full of song and suffering, humor and pathos. 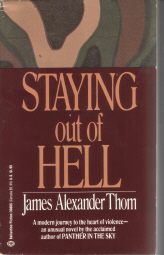 James Alexander Thom the rarest reading experience: one that entertains us even as it shows us a new vision of our nation, our past, and ourselves.